Why should you become involved in undergraduate research? As undergraduate students, we can forget the fact that most of our professors do not spend the majority of their time teaching undergraduate classes. A large research university like UC Davis uses a huge portion of its human resources and facilities to carry out “original research”. This involves professors and their research teams battling everyday to advance knowledge in their field by carrying out research in the various labs dotted around campus. As an undergraduate, it’s wise to tap into this exciting world, in order to make the most of your educational experience. Working as an undergraduate assistant in a laboratory can expand your intellectual horizons and challenge you beyond any class coursework- it is like powerlifting for the intellect. You will learn how to read and analyze peer reviewed research articles. You will learn advanced technical skills that will supplement knowledge in upper division biology classes and open up career opportunities. For example, gaining lab skills can make you a much more competitive applicant for becoming a lab technician or gaining an internship at a biotechnology company right after graduation (e.g. Genentech). Additionally clinical research can provide you with patient contact and strengthen healthcare school applications. 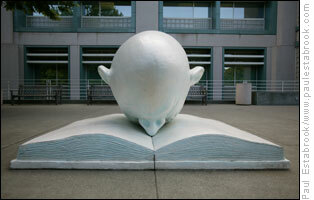 Above all, it can be difficult to get to know your professors at a large research university like UC Davis. Therefore, sitting at a lab bench for 3 hours every Monday morning with your graduate student advisor or professor will offer you an unparalleled opportunity to get to know them. If you develop a genuine, professional relationship with your professor, they can guide you towards incredible opportunities, grants/ scholarships and provide perspectives on careers both inside and outside of academia. They are also in an excellent position to provide you with a detailed, supportive letter of recommendation for graduate school. Although the rewards can be great, it is worth noting that research is challenging and requires a significant time commitment of 6-12 hours per week. As with any extracurricular activity, you should periodically assess whether research is something you truly enjoy, and if the benefits outweigh the costs for your particular situation. Ideally, you should become involved with research at end of your freshman year or the beginning of your sophomore year. This will give you 2-3 years to learn the skills necessary to make a genuine impact in your department. However, your junior year can also be an excellent time to become involved in a lab, as some professors prefer students with certain advanced science classes under their belt. Visit lab websites. Google search UC Davis department websites and make a list of labs/ professors to contact. Paid and unpaid research assistant opportunities will also be advertised through the bismajors listserv and on Aggie Job Link. Undergraduate assistant positions are usually unpaid, but some can be paid or eventually develop into paid positions. You may also meet professors requiring lab assistants in BIS 005, a research course required for all BIS majors. When visiting the lab website, try to assess the environment to predict what sort of learning experience you will receive. For example, in a very large lab, you may not have opportunities to talk with the PI (main professor) or learn skills beyond basic lab maintenance work. Also, if the lab uses animal models, you should consider whether you would be comfortable handling or even euthanizing the given animal. If the lab is involved with clinical research, you should consider whether you would enjoy working with patients, as well as the ethical implications. Read 1 to 3 research articles written by the professor of your lab of interest. Send a professional and succinct email to the professor expressing your interest, mention something specific about their research that interests you and ask if there are any openings for research volunteers. Your professor may request a more formal interview and your resume, to assess your suitability for the lab. You should also use interviews to assess whether the professor or graduate mentor will provide a learning environment that will be useful to you. Do not be discouraged if there is no space for you in a particular lab. You may need to apply to 10-50 labs before you receive a positive response. During your first year of working on a research project, do not expect anything but go out of your way to be as helpful as possible. Get to work on time everyday and be prepared to perform basic tasks with enthusiasm. Once you have proven your reliability and gained some technical expertise, slowly increase your involvement by offering to take on more duties. As you are assigned important work, go the extra mile to complete these tasks to the highest standards possible. Keep an eye out for undergraduate summer internships or ask your graduate mentor or professor if they know of such opportunities. Approaching your work with positivity and diligence will maximize the benefits you will receive from any research experience. It’s not uncommon for me to have a date with Peter J. Shields that lasts five hours. Sometimes during midterm weeks, we go on many dates. Do we get tired of each other? Of course we do. However, our relationship is important. Without the countless hours I have spent at our campus library, my knowledge and my grades would be suffering. To ensure that I maintain a strong relationship with Peter J. Shields, I have learned to balance my schoolwork with extracurricular activities. It is important to avoid overwhelming yourself in schoolwork to the point that you no longer find your courses rewarding. Instead, find opportunities to get involved in clubs and activities that give your eyes a break from studying. When I’m not at Peter J. Shields, I’m at the ARC playing intramural sports or listening to guest speakers at Pre-Dental Society meetings. There are hundreds of extracurricular activities at UC Davis. I’ve decided to highlight a few opportunities that may interest students in the College of Biological Sciences (CBS). 1. Interested in a volunteering abroad? There are multiple groups on campus dedicated to improving health in impoverished countries. I recently traveled to Liberia, Costa Rica with Spreading Smiles, a student-run organization unique to UC Davis. In Liberia, we traveled to churches, promoting oral hygiene techniques and providing non-invasive dental cleanings. Through out the school year, we fundraise through car washes and bake sales. Check out other awesome volunteering groups such as Project Rishi, Global Medical Brigades, and Global Dental Brigades. The Spreading Smiles team enjoying Costa Rican waterfalls after a day of volunteering. Mo Siddiqui, a BASC peer adviser and Project RISHI member, speaking to elderly leprosy patients in Anandwan, India. 2. Interested in getting to know your classmates outside of lecture? Join a club related to your major! It’s awesome surrounding yourself with people of similar interests and career paths. Our very own peer adviser, Wilson, is a member of the American Society for Microbiology (ASM) at UC Davis. ASM organizes guest speakers, field trips, and other group activities relevant to microbiology. There are other major clubs for CBS students such as the EXB Club, NPB Club, Bio Boosters (a great opportunity for biology majors), Genetics Club, and MCB Club. 3. Interested in applying your scientific knowledge to broader societal issues? Join the Environmental Science and Policy Club at UC Davis. This club gives CBS students the opportunity to diversify their knowledge through exposing members to topics related to social sciences and politics. If environmental issues are not your strongest interest, browse other clubs like Student Reproductive Coalition, Universities Allied for Essential Medicine, and Team HBV. 4. Interested in applying your scientific knowledge to something revolutionary? 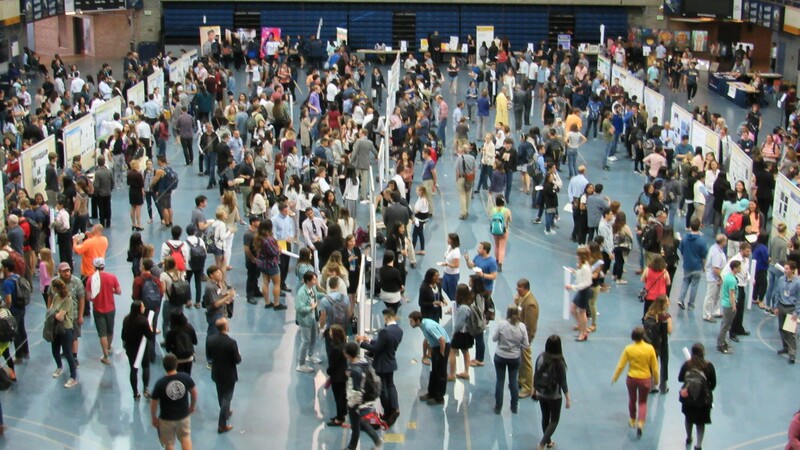 Explore the numerous undergraduate research opportunities available at UC Davis. Research gives students hands-on scientific experience and helps students develop relationships with renowned faculty members. Becoming involved in extracurricular activities helps you meet new people, diversify your knowledge and experiences, and strengthen your resume. 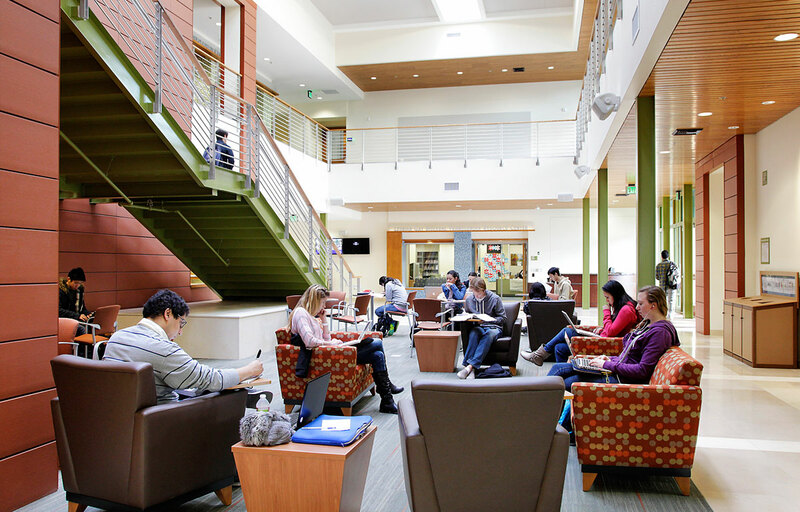 While I’ve only highlighted a select few of the extracurricular activities available at UC Davis, check out the Center for Student Involvement webpage to find an activity that fits you! We fear what we cannot see. Pathogens, epidemics, and food outbreaks are just some of the things that the general population will see on a news channel. Time and time again, Hollywood capitalized on these topics by developing big-screen productions like Contagion (2011) or 28 Days Later (2002). It’s obvious that the microbial world is fascinating in some way to most of us and this is mostly due to the fact that much of our well-being is interconnected with these microscopic organisms. To explore the relevance of microbiology in everyday life, think about the last time you enjoyed cheese on a sandwich or a slice of pizza. The process of producing the cheese starts with a lactic acid bacterial culture that is added to the milk. Once that lactic acid culture starts working, the milk sugar, lactose is converted to lactic acid. An enzyme preparation is added which causes the milk protein to coagulate and solidify. All the while, the bacteria continues to produce acid from the lactose in the milk. Secondary microflora ripen the cheese and will determine the final texture and aroma of each type of cheese. Even if you are vegan or ovo-vegetarian (like me) and cheese is not a part of your diet, you are not exempt from interactions with microorganisms in regards to eating. Surely you have had a cavity or two. If not, I congratulate you. On average, 200-300 species of bacteria are colonized in your oral cavity. A few of those species participates in dental decay by adhering to tooth surfaces in bacterial matrices known as dental plaque. These communities produce acid that irreversibly makes tooth mineral soluble, which is usually replenished by saliva between meals. However, when fermentable foods are eaten frequently, the low pH in the plaque is sustained and a net loss of mineral from the tooth occurs, ultimately resulting in a trip to the dentist’s office. At its core, the study of microorganisms is an integration of many other subjects: evolution, physics, chemistry, biochemistry, and genetics. This is reflected through your first two or three years of coursework at UC Davis. However, the peak of your journey as a microbiology major is going to be involved with unique lab work including: a) classical enrichments for the isolation of metabolically diverse microbes b) modern molecular methods for the identification of isolates c) cultivation independent analysis of microbial communities from local environmental samples. The learning experience from this area of discipline is designed for students who want to keep up-to-date with current events and those who are ready to take on a challenge. Thus, the preparation that Microbiology students receives for professional schools, graduate programs, and research positions in government/private labs is unrivaled in comparison to other majors. Want to know how nerve impulses are affected by deadly flesh-eating viruses? Does microscopic chemical warfare sound cool? Interested in figuring how vaccines work with your immune system? Microbiology has the answers for you!